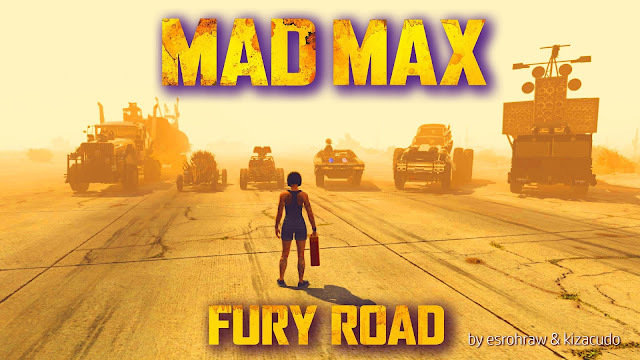 This is new version of pack and it will be updated later with more Mad Max, vehicles. All vehicles converted and created by esrohraw, except Interceptor, converted by baba0rum. Pack assembled, by authors request, by kizacudo. 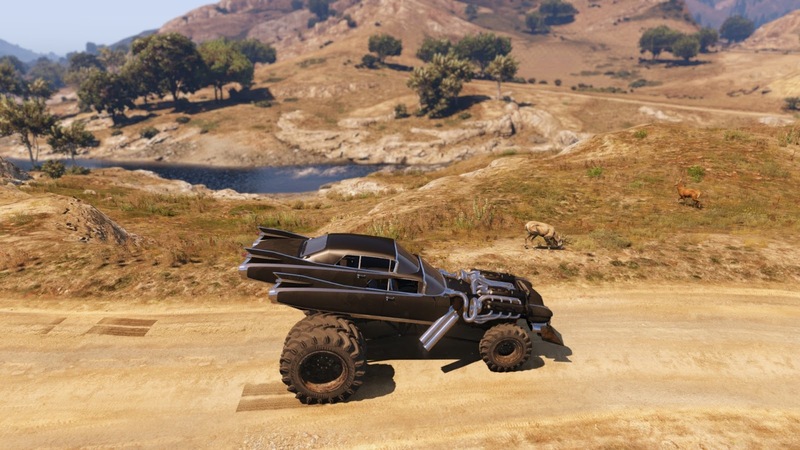 This is Add-on pack, made for pure fun, and none of these vehicle are on the streets until you spawn and use them. 2. Then you must BACKUP your update.rpf to your in game temp folder. the file with text editor, copy the last line and rename dlc as wpack. 4. For most systems, first 3 steps would be enough, but if it doesn't work on yours, extract with OpenIV extratitleupdatedata.meta and copy and add the whole last entry and retype wpack over last dlc name. 5. If that was not enough, create directory in update.rpf/dlc_list/wpack and extract content.meta file with OpenIV from root of the DLC itself. Copy content.meta to newly created directory wpack. 6. To spawn vehicle use WPack list from AddOnCarSpawner by I'm Not MentaL included in addon pack, or create new trainer entries from data from this text. Press F8 and choose WPack list first and then the vehicle of your choice. 7. If you have too many add-on's, use appropriate gameconfig version from archive. Note :- DowNLoaD and just play , Enjoy .